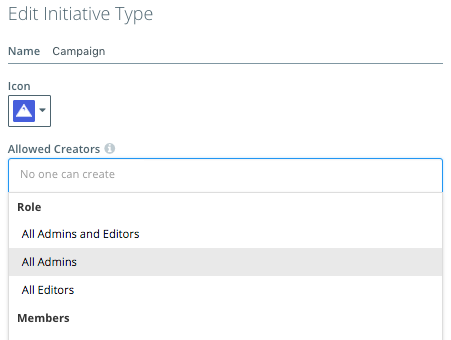 If you have multiple teams who are responsible for creating and managing different types of content and initiatives in the same instance we have good news for you. 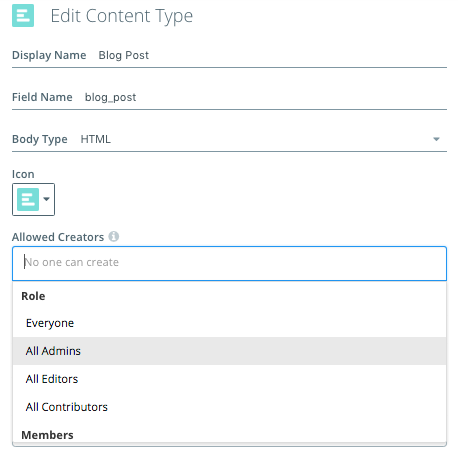 With the Allowed Creator permission setting, you can define who should be able to create specific types of content and initiatives which makes the creation process simpler, cleaner and more customized for users. For example, if the Marcom team only creates a subset of all the content being created in Kapost, they would only want to see those types of content when they go to create content. Another example might be multiple groups creating different types of blog posts with different workflows. One team creates one type of blog post in Kapost while the other group creates another type. With this setting, you can make sure no one gets confused. Note: Limiting who can create types of content or initiatives does not prevent them from viewing those types of content or initiatives that may have been created by someone else. It also does not prevent users from submitting ideas for those types of content. Note: Before it is changed, the default setting will be set to everyone being allowed to create that type of content. Click here to find out how to create member groups. Note: Before it is changed, the default setting will be set to all admins and editors being allowed to create that type of initiative. For ease of use and consistency, make sure to keep the content and initiative type naming conventions consistent. 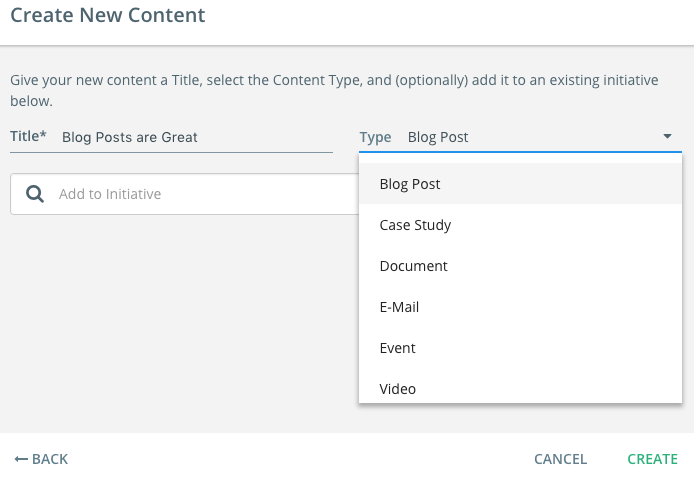 For example, you may have multiple types of blog post content types. In that case we would suggest something similar to the following naming conventions for each type.